Featuring copious introductory material by distinguished scientist Dr. David B. Fogel, this formidable collection of 30 landmark papers spans the entire history of evolutionary computation--from today's investigations back to its very origins more than 40 years ago. Chapter by chapter, Fogel highlights how early ideas have developed into current thinking and how others have been lost and await rediscovery. The introductions to each chapter reflect Fogel's one-on-one conversations with the authors and their colleagues, conducted over a period of four years. Evolutionary Computation: The Fossil Record provides in-depth historical information and technical detail that is simply unmatched in the field. This volume is complete with an extensive bibliography of related literature. 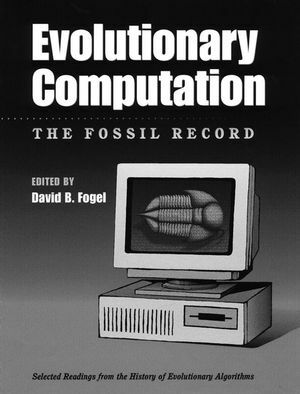 Evolutionary Computation: The Fossil Record will be of particular interest to researchers and students in need of a comprehensive resource on this fascinating area of computer science. Historians will also find the book thoroughly engaging. About the Editor David B. Fogel, Ph.D. is executive vice president and chief scientist at Natural Selection, Inc., La Jolla, California. Dr. Fogel has published over 100 papers on evolutionary computation in journals and conferences and is the author of two books, most recently Evolutionary Computation: Toward a New Philosophy of Machine Intelligence (IEEE Press, 1995). He serves as the founding editor-in-chief of IEEE Transactions on Evolutionary Computation. Dr. Fogel is co-editor-in-chief of the Handbook of Evolutionary Computation (Oxford, 1997), associate editor of BioSystems, and a member of the editorial boards of several other archive journals. He was the founding president of the Evolutionary Programming Society (1991) and is an associate member of the Center for the Study of Evolution and the Origin of Life (CSEOL) at UCLA. An Introduction to Evolutionary Computation. Evolving Control Circuits for Autonomous Robots. Simulating the Evolution of Genetic Systems. Artificial Life and Evolving Strategies. Artificial Intelligence through Simulated Evolution. Evolutionary Algorithms for System Identification. Schema Processing and the K-Armed Bandit. Evolutionary Computation and the Traveling Salesman Problem. Evolving Programs Using Symbolic Expressions.